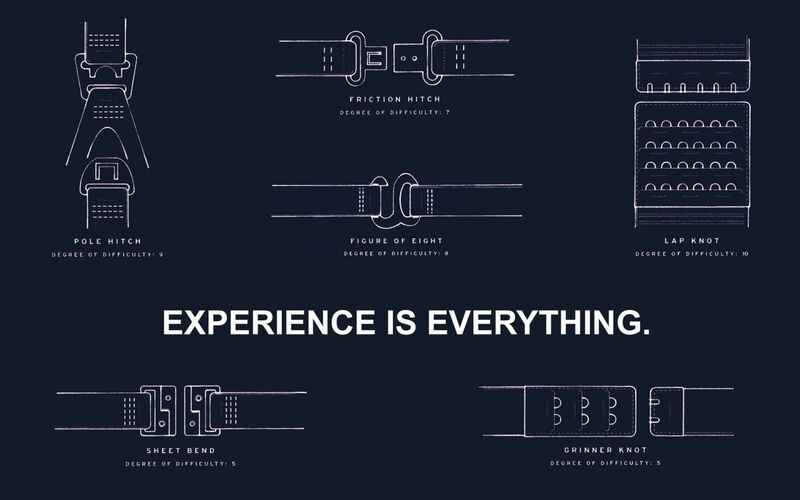 Experience makes a man perfect. This old phrase is also valid for the scientific studies. The negative results obtained by a scientific investigator are not only the outcome of an investigation, but an experience as well. The experience gives impact to a wider community and is not limited to an individual or small group. It is unfortunate for science that negative results are either discarded or modulated to a desired positive conclusion for some individual temporary benefits, as reported sometimes back in a meta-analysis. Below are some examples in scientific history which reflects the experience and impact of negative results to a broader aspect. 2. Failure in research is not a problem in fact, it can push us forward (Rice, 2011). 3. DNA (gene) is rock solid and changed very slowly over time. This was the belief of the scientific community and considered a positive hypothesis. Then Barbara McClintock, a Nobel Prize winning geneticist, found after a series of experiments that genes are incredibly plastic. They can move around and even hop between organisms. Her results challenged the accepted dogma and no one believed that DNA was so malleable, but she proved her findings and today her negative results are considered to be a classic experiment in the history of biology (Pray and Zhaurova, 2008). 4. In 1894, the pharmacist Theodar Salzer described the acetodiphosphoric acid present in commercially available phosphoric acid as an impurity. Then, Hans Von Baeyer working in Munich at the Royal Academy of Sciences in the chemical laboratory of his father Adolf (the 1905 Nobel Prize laureate and discoverer of barbiturates), synthesized an unknown substance, which his famous father summarily rejected as some "Dreck" or impurity. Later on, Hans proved this impurity as acetodiphosphoric acid, a biphosphonate (Petroianu, 2011). 5. Among the various organic insecticides and pesticides, organophosphorus compounds are the most widely used throughout the world. The generalized hypothesis and reports in the literature is that it is non-toxic to development and reproduction, but some studies showed that there are many organophosphorus insecticides and pesticides, which may cause developmental abnormalities including neural tube defects, etc. So, the results negative to the hypothesis may compel the scientific community to re-evaluate the hypothesis (Nurulain and Shafiullah, 2012). 6. In 2009, Fanelli, in a systematic review and meta-analysis of survey data, reports that the lack of reporting of negative results is surprising. What happened to the missing negative results? Presumably, they either went completely unpublished or somewhat turned positive through selective reporting, post-hoc re-interpretations and alterations of methods analysis and data. 7. Emma Woollcott posted an article, “Science under threat from pressure for positive results” in TG Daily (Sept. 13, 2011) and concluded that scientific research could be set for a big decline because of a growing tendency to report only positive findings. Without negative evidence in the literature, scientists might misestimate the importance of phenomena and waste resources in failed studies. 8. The pressure on scientists to produce more positive results and survival competition is causing scientific corruption, as negative results are hidden and false-positive results come into the limelight. According to Fanelli in 2009, about two percent of scientists admitted to doing such practices once in a lifetime, but the percentage may be higher (Roff, 2010). Many more examples may be cited from scientific history. The fact is that negative results are the experience and outcome of a study by a scientific investigator. This experience and outcome may lead the development of scientific conclusion to a sound basis with merits and demerits known to all. And now you have a journal to publish negative results. Rice, C. (2011). Negative results are important: Research Europe. http://curt-rice.com/2011/07/21/negative-results-are-important-research-europe/ (Last accessed: May 5, 2012). Woollcott, E. (2011). Science under threat from pressure for positive results. http://www.tgdaily.com/general-sciences-features/58424-science-under-threat-from-pressure-for-positive-results (Last accessed: May 5, 2012). Fanelli, D. (2009). How Many Scientists Fabricate and Falsify Research? A Systematic Review and Meta-Analysis of Survey Data. PLoS ONE 4(5): e5738. doi:10.1371/journal.pone.0005738s. Nurulain S.M and Shafiullah M. (2012). Teratogenecity and embryo-toxicity induced by organophosphorus compounds in animal models- A short review. Mil. Med. Sci. Lett. 81(1):16-26. Petroianu, G.A. (2011). Pharmacist Theodor Salzer (1833-1900) and the discovery of bisphosphonates. Pharmazie.66 (10):804-7. Pray, L and Zhaurova, K. (2008). Barbara McClintock and the discovery of jumping genes (transposons). Nature Education 1(1). Roff, J. (2010). Do Pressures to Publish Increase Scientists' Bias? http://www.climateshifts.org/?p=5201. Written by Dr. Syed M. Nurulain for The All Results Journals. It would definitely be impossible for technology to move forward if experiments done in their regard always wield a positive result. That's why we have smartphones and tablets now, and probably superconductors and quantum computers in the future.